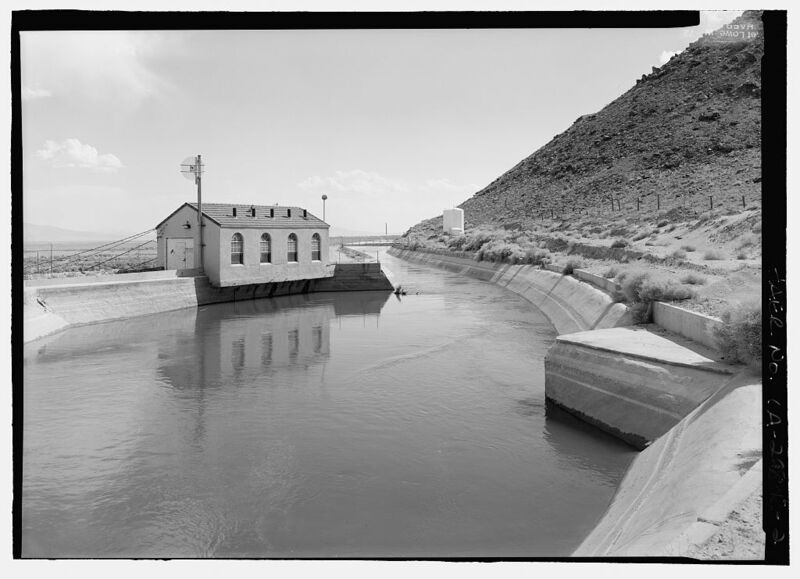 I revisited the LA Aqueduct for the grant proposal(s) related to the upcoming centennial of it’s opening (stay tuned), and started updating my earlier bibliography. My methodology was searching via google scholar, amazon.com and cal poly’s library. 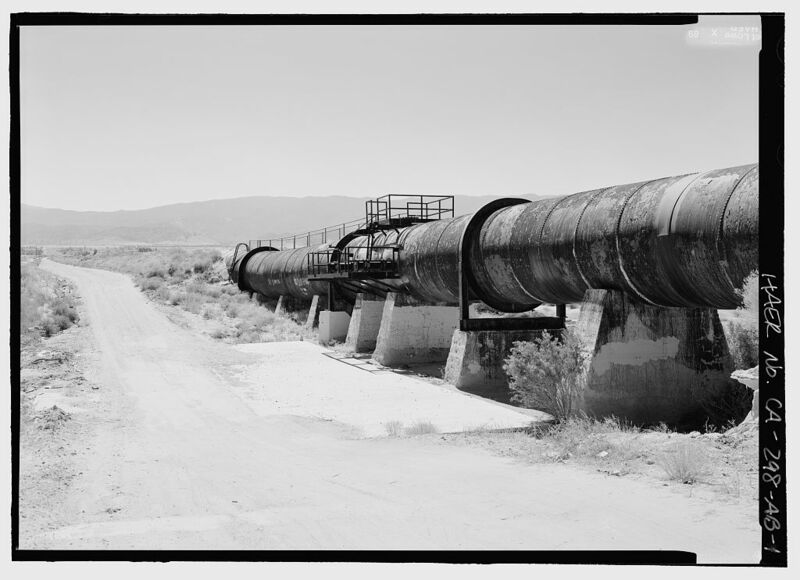 Items in bold are seminal books and essential reading about the LA Aqueduct. The links take you to the most recent edition of the book. Barraclough, Laura R. 2011. Making the San Fernando Valley: Rural Landscapes, Urban Development, and White Privilege. University of Georgia Press. deBuys, William. 2011. A Great Aridness: Climate Change and the Future of the American Southwest. Oxford University Press. Piper, Karen. 01.24.2011. ‘Dreams, Dust and Birds: The Trashing of Owens Lake’ in Places: Design Observer. Prud’homme, Alex. 2011. The Ripple Effect: The Fate of Fresh Water in the Twenty-First Century. Scribner. Solomon, Steven. 2011. Water: The Epic Struggle for Wealth, Power, and Civilization. Harper Perennial. Wanamaker, Marc. 2011. San Fernando Valley (Images of America). Arcadia Publishing. Creason, Glen. 2010. Los Angeles in Maps. Rizzoli. Cunningham, Laura. 2010. State of Change, A: Forgotten Landscapes of California. Heyday. Ostrom, Vincent. 2010. Water & Politics A Study of Water Policies and Administration in the Development of Los Angeles. Martino Press. Black, Maggie and Jannet King. 2009. The Atlas of Water: Mapping the World’s Most Critical Resource. University of California Press. Karelius, Brad. 2009. The Spirit in the Desert: Pilgrimages to Sacred Sites in the Owens Valley. Book Surge Publishing. Varner, Gary R. 2009. The Owens Valley Paiute – A Cultural History. lulu.com. Lehrman, Barry. 2008. “Reconstructing the Void: Owens Lake.” In: The Infrastructural City: Networked Ecologies in Los Angeles, ed. Kazys Varnelis. Barcelona: Los Angeles Forum for Architecture/Columbia Networked Urbanism Lab/ACTAR Press. Gottlieb, Robert. 2007. Reinventing Los Angeles: Nature and Community in the Global City. The MIT Press. Green, Dorothy. 2007. Managing water: avoiding crisis in California. University of California Press. Libecap, Gary. 2007. Owens Valley Revisited: A Reassessment of the West’s First Great Water Transfer. Stanford Economics and Finance. Pearce, Fred. 2007. When the Rivers Run Dry: Water–The Defining Crisis of the Twenty-first Century. Beacon Press. Starr, Kevin. 2007. California: A History. Modern Library. Davis, Mike. 2006. City of Quartz: Excavating the Future in Los Angeles. Verso. Deverell, William, and Greg Hise. 2006. Land of Sunshine: An Environmental History of Metropolitan Los Angeles. University of Pittsburgh Press. Erie, Steven P. 2006. Beyond Chinatown: The Metropolitan Water District, Growth, and the Environment in Southern California. Stanford University Press. Matthews, Fred. 2006. Sierra And Desert Rails: Donner, Feather River, Owens Valley at the End of the Steam Age. Xlibris. Piper, Karen L. 2006. Left in the dust: how race and politics created a human and environmental tragedy in L.A. Macmillan. Wehrey, Jane. 2006. 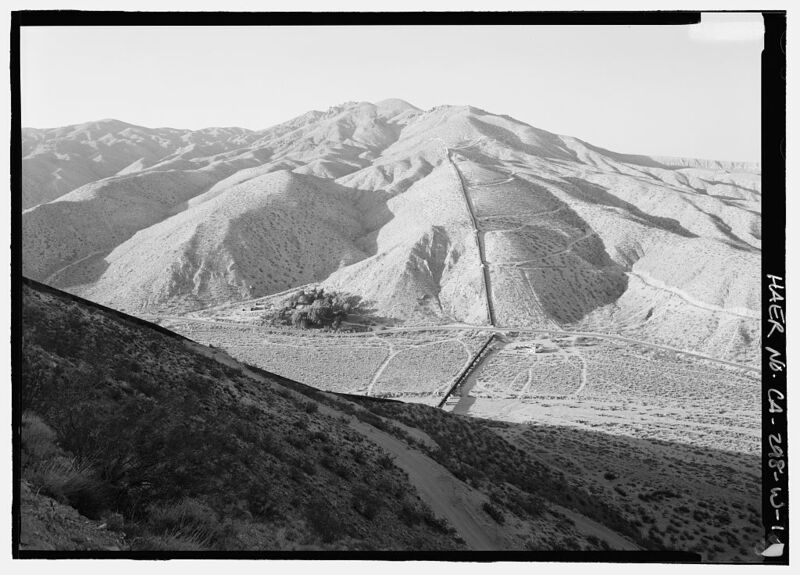 Voices from This Long Brown Land: Oral Recollections of Owens Valley Lives and Manzanar Pasts. Palgrave Macmillan. Carle, David. 2004. Introduction to Water in California. University of California Press. Varnelis, Kazys. 2004. Points of Interest in the Owens River Valley. Center for Land Use Interpretation. Mulholland, Catherine. 2002. William Mulholland and the Rise of Los Angeles. University of California Press. Fulton, William. 2001. The Reluctant Metropolis: The Politics of Urban Growth in Los Angeles. The Johns Hopkins University Press. Gumprecht, Blake. 2001. The Los Angeles River: Its Life, Death, and Possible Rebirth. Johns Hopkins University Press. Sitton, Tom, ed., 2001. Metropolis in the Making: Los Angeles in the 1920s. University of California Press. Ewan, Rebecca Fish. 2000. A Land Between: Owens Valley, California. Johns Hopkins University Press. Fulton, William. 2000. The Reluctant Metropolis: The Politics of Urban Growth in Los Angeles. Johns Hopkins University Press. Davis, Mike. 1999. Ecology of Fear: Los Angeles and the Imagination of Disaster. Vintage Books. Hise, Greg. 1999. Magnetic Los Angeles: Planning the Twentieth-Century Metropolis. Johns Hopkins University Press. Pearce, Robert A. 1999. The Owens Valley Controversy & A.A. Brierly: The Untold Story. Dageforde. Robb, James J. 1997. Atlas of the New West: Portrait of a Changing Region, ed. William E. Riebsame and Hannah Gosnell, W. W. Norton & Company. Towne, Robert. 1997. Chinatown and the Last Detail: Two Screenplays. Grove Press. Hart, John. 1996. Storm Over Mono: The Mono Lake Battle and the California Water Future. University of California Press. Davis, Margaret Leslie. 1994. Rivers in the Desert: William Mulholland and the Inventing of Los Angeles. Perennial. Sauder, Robert A. 1994. 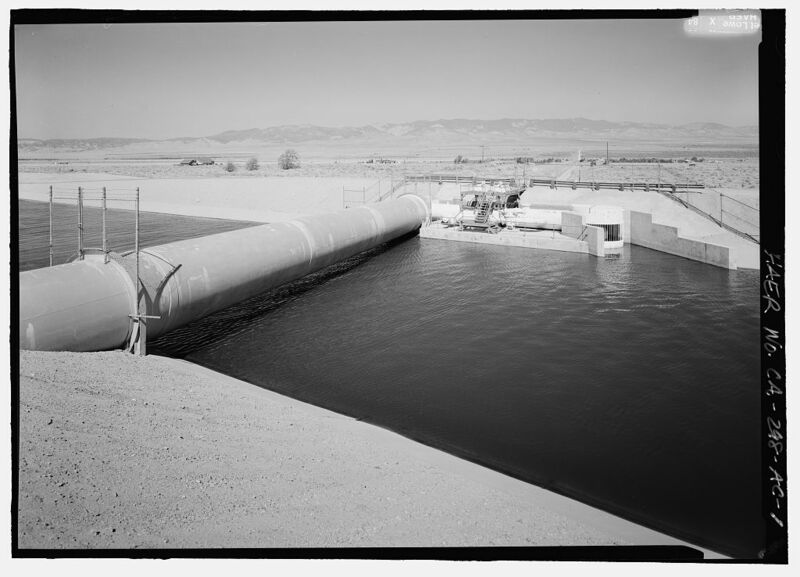 The Lost Frontier: Water Diversion in the Growth and Destruction of Owens Valley Agriculture. University of Arizona Press. Hall, Clarence A., et al – editors. 1992. The History of Water: Eastern Sierra Nevada, Owens Valley, White-Inyo Mountains. White Mountain Research Station Symposium, Volume 4. University of California Los Angeles. Hundly, Norris. 1992. 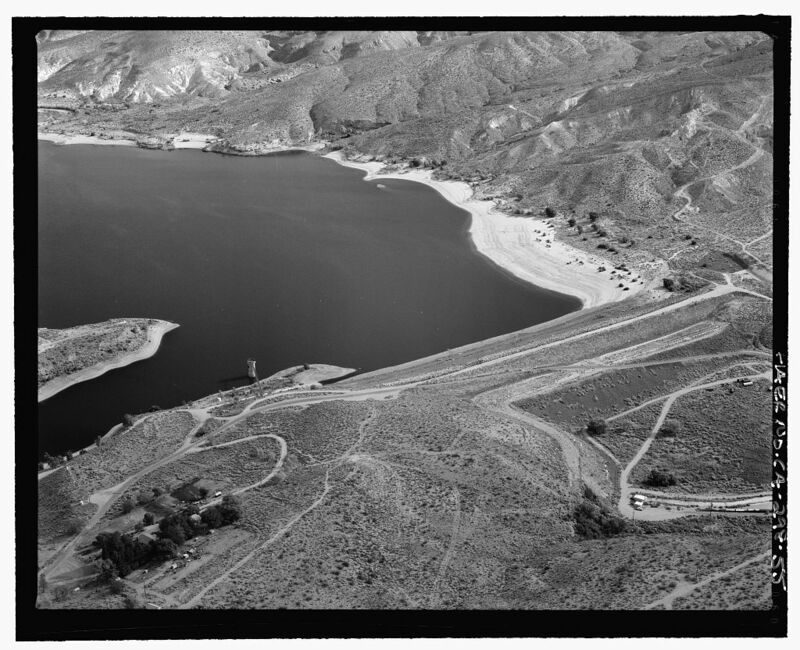 The Great Thirst: Californians and Water, 1770s-1990s. University of California Press. Stegner, Wallace. 1992. Beyond the Hundredth Meridian: John Wesley Powell and the Second Opening of the West. Penguin. Walton, John. 1992. Western Times and Water Wars: State, Culture, and Rebellion in California. University of California Press. Worster, Donald. 1992. Rivers of Empire: Water, Aridity, and the Growth of the American West. Oxford University Press. Walton, John. 1991. Western Times and Water Wars: State, Culture, and Rebellion in California. University of California Press. Starr, Kevin. 1990. Material Dreams: Southern California through the 1920s. Oxford University Press. Danskin, Wesley R. 1988. Preliminary Evaluation of the Hydrogeologic System in Owens Valley, California. University of Michigan Library. Botkin et al. 1988. The Future of Mono Lake: report of the Community and Organization Research Institute “Blue Ribbon Panel” for the Legislature of the state of California. Water Resources Center, University of California. Reisner, Marc. 1986. 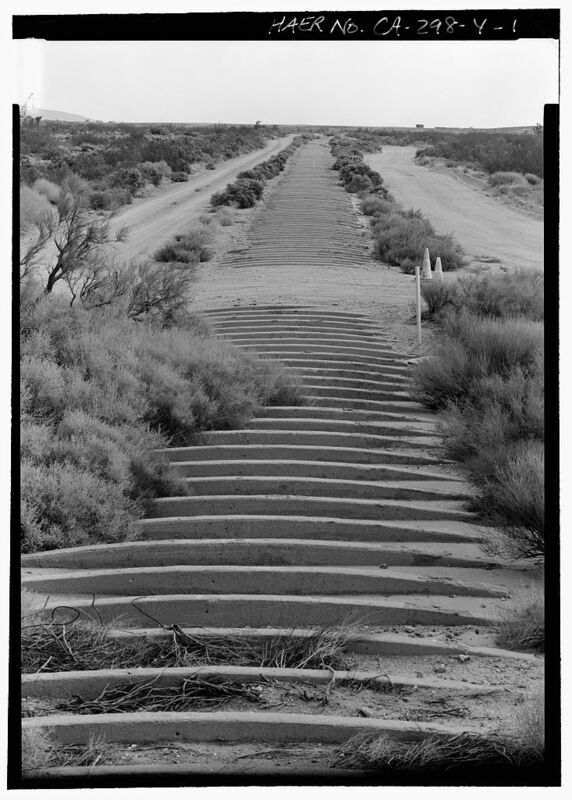 Cadillac Desert: The American West and Its Disappearing Water. Penguin. 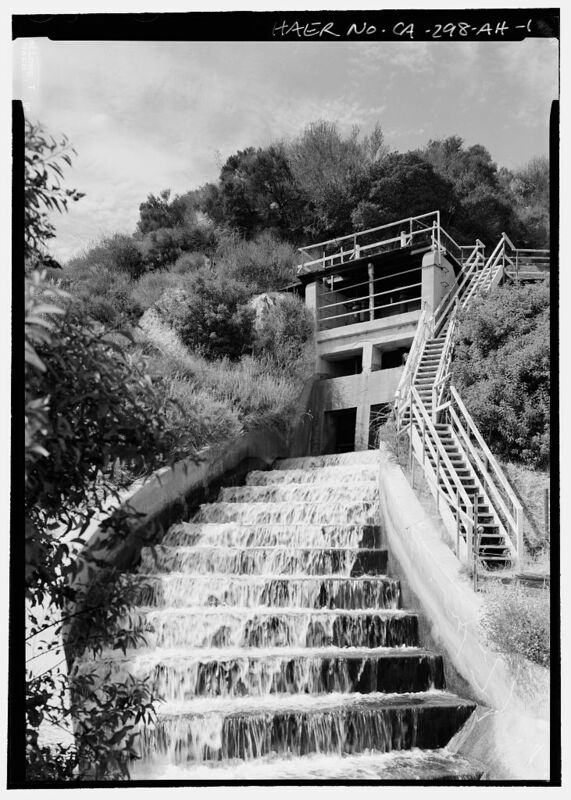 Morrish, William; ‘The Urban Spring: Formalizing The Water System Of Los Angeles’/ Modulus 1984, No.17, P.44-73. University of Virginia Press. Kahrl, William. 1982. Water and Power: The Conflict Over Los Angeles’s Water Supply in the Owens Valley. University of California Press. Hoffman, Abraham. 1981. Vision or Villainy: Origins of the Owens Valley-Los Angeles Water Controversy. Texas A&M University Press. Mayer, Robert.1978. Los Angeles: A Chronological & Documentary History, 1542-1976. Oceana Publications. Garrett, Jessie A. and Ronald C. Larson. 1977. Camp and Community: Manzanar and the Owens Valley. California State Univ Fullerton. Caughey, John and LaRee Caughey, eds. 1976. Los Angeles: Biography of a City. University of California Press. Kahrl, William L. 1976. 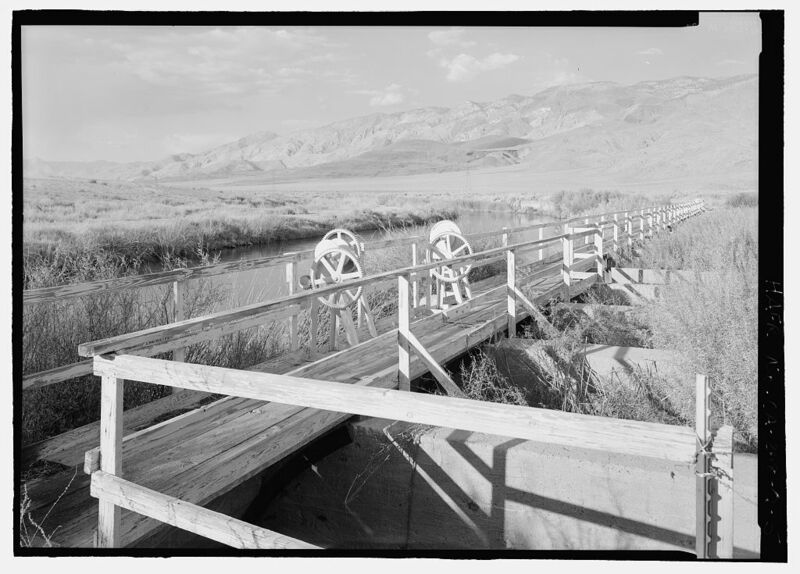 “The Politics of California Water: Owens Valley and the Los Angeles Aqueduct, 1900-1927.” California Historical Quarterly 55 (1) (April 1): 2–25. doi:10.2307/25157605. Matson, Robert W. 1976. William Mulholland, a Forgotten Forefather. University of the Pacific. Polanski, Roman (Director) and Robert Towne, (Screenplay). 1974. Chinatown. Paramount Studios. Wood, R. Coke. 1973. The Owens Valley and the Los Angeles Water Controversy: Owens Valley as I Knew It. University of the Pacific. Knowles, Ralph. 1969. Owens Valley Study: A Natural Ecological Framework for Settlement. Los Angeles, CA: USC School of Architecture. Fogelson, Robert M. 1967. The Fragmented Metropolis: Los Angeles, 1850-1930. University of California Press. Nadeau, Remi A. 1965. City-makers: The Story of Southern California’s First Boom. Trans-Anglo Books. California. Dept. of Water Resources. 1955. ‘Los Angeles County land and water use survey.’ Issue 24 of Bulletin (California. State Water Resources Board). Ostrom, Vincent. 1953. Water & Politics: a Study of Water Policies and Administration in the Development of Los Angeles. Haynes Foundation. Nadeau, Remi A. 1950. The Water Seekers. Doubleday. McWilliams, Carey. 1946. Southern California: An Island on the Land. Peregrine Smith. Los Angeles Department of Public Service. 1916. Construction of the Los Angeles Aqueduct, Final Report. City of Los Angeles. Heinly, Burt. 1909. 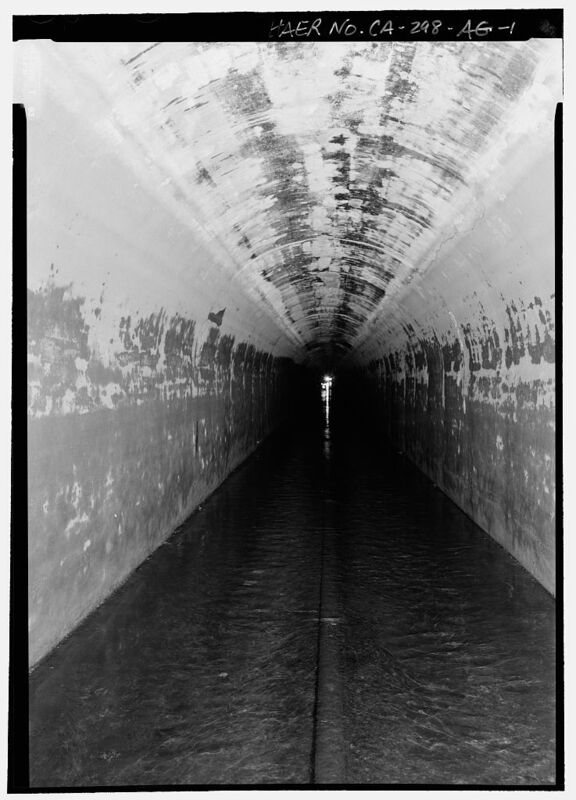 “The Longest Aqueduct in the World.” The Outlook. September: 215-220. City of Los Angeles.